the mixing engineer of choice for rock & roll royalty. 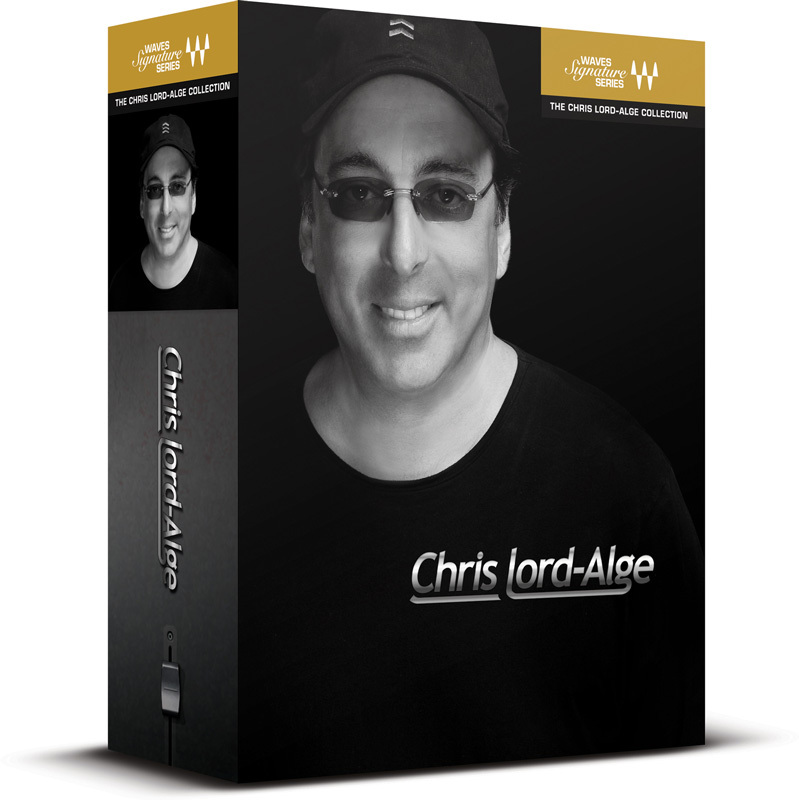 The Chris Lord-Alge Artist Signature Collection gives you an all-access pass to CLA’s hard-hitting, radio-ready sound. 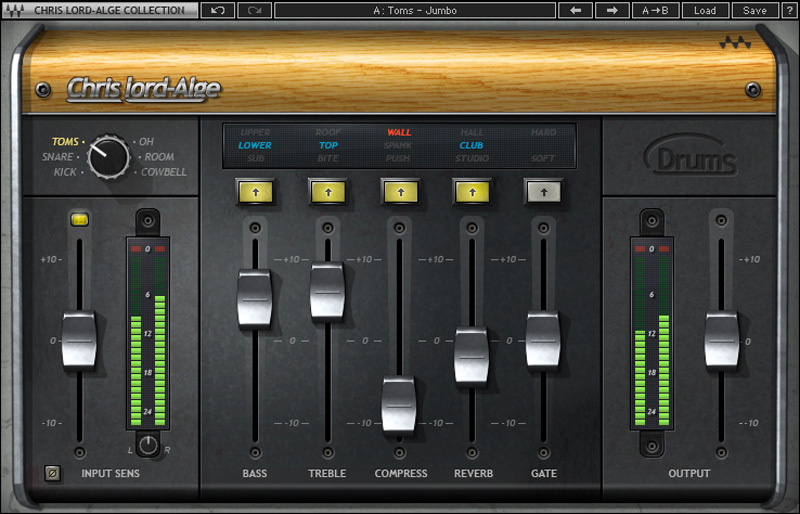 Chris Lord-Alge on CLA Bass: "From sub-shaking smooth sounds to Mr. Buzzsaw, CLA Bass is just what the doctor ordered. 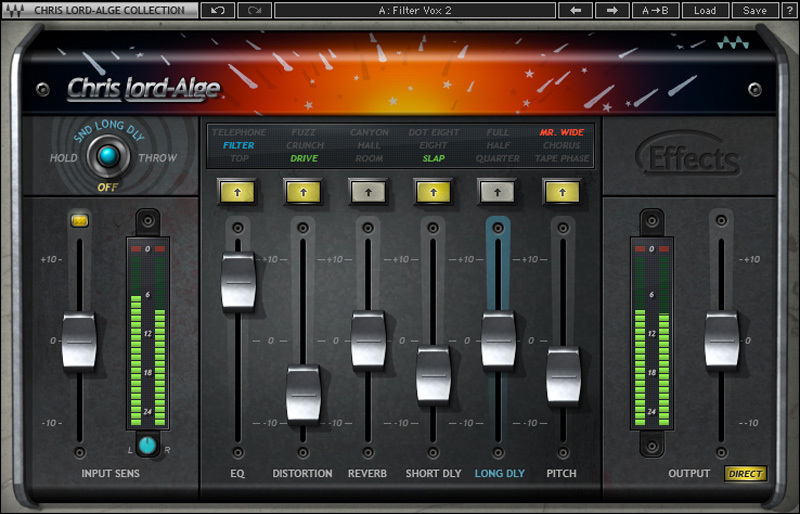 The plugin was designed to help you lay down a solid foundation for any song. It gives you six essential effects: bass, treble, compression, sub, distortion, and chorus/flange. Whether you want it to rip, roar, growl, bark, or cut, CLA Bass delivers." Chris Lord-Alge on CLA Drums: "One of my favorite activities is to work on drums. When creating the CLA Drums plugin, I had one thing in mind: Anyone who uses it can get a great drum sound for any song and any mix and just have fun! There are six different modes: Kick, Snare, Toms, Overheads, Room and, of course, my favorite, Cowbell. There are three color-coded presets for bass EQ, treble EQ, compression, and reverb, plus a noise gate so you can even get rid of leakage. The faders let you control the amount of each effect and, especially important for drums, we’ve included a phase switch so you can find the best setting for the kit." 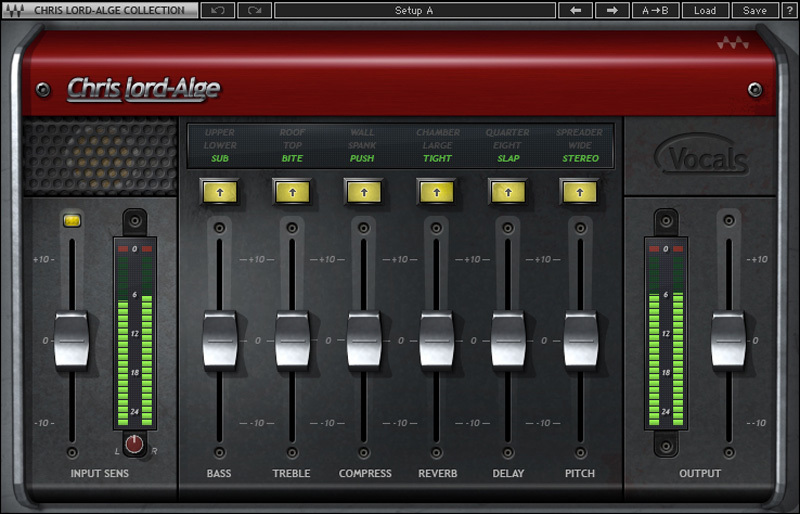 Chris Lord-Alge on CLA Effects: "CLA Effects does it all. Filtered vocal? Check. Telephone FX? Check. John Lennon "I Am the Walrus" vocal distortion? Check and double check. Multiple delays with tape phasing? You got it. Reverb, tape slap, and long echo all at once? Yes, yes, and yes. One of my favorite features is the echo throw section: Hit the throw button and add long delays to just the words you want, with one click! And to top it all off, all tempos are matched to the session BPM, cutting out all the guesswork." Chris Lord-Alge on CLA Vocals: "The most important part of any song is the vocals. The CLA Vocals plugin makes this part of mixing an absolute joy. I have taken the very best settings which I use in my everyday mixes and crafted them into this chain. It works great on all styles of singers and, best of all, they will want that sound every time! You also get three flavors of the top six effects you need: the right amount of bass, treble, compression, reverb, delay, and chorusing/doubling." 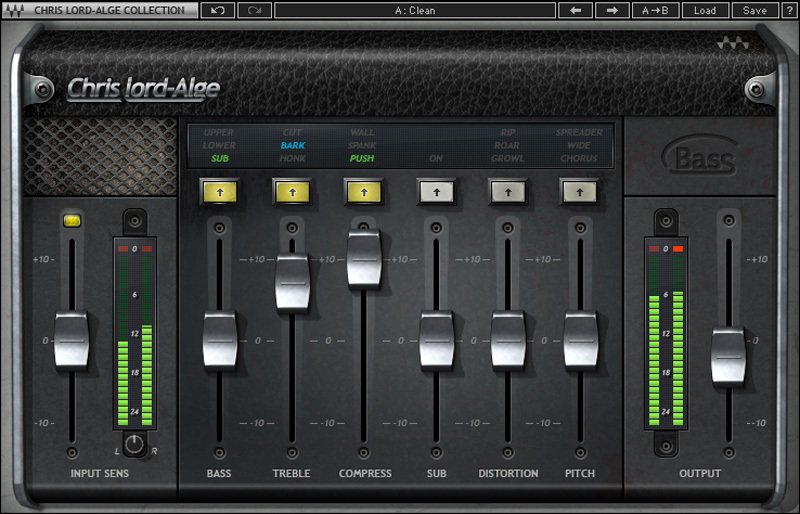 Chris Lord-Alge on CLA Guitars: "Two words describe the CLA Guitars plugin: Instant Gratification. Every time I plug in my axe, I just can’t stop playing! It delivers the guitar sounds I’ve used on tracks from Green Day to Daughtry, quickly and easily. It’s like a guitar toolbox with all the necessary combinations. The plugin features three modes—Clean, Crunch, and Heavy—with DI and Re-amping modes for each. You get three color-coded presets for the six most important effects, for the perfect blend of bass, treble, compression, reverb, delay, and chorusing/doubling." Chris Lord-Alge on CLA Unplugged: "CLA Unplugged is a dream box of reverb effects plus great hi-res EQ and compression for complex sounds. I always loved the Aerosmith "Dream On" vocal reverb with the really long pre-delay. And I wanted a plugin that you could also put on strings, piano, acoustic guitars, and nylon guitar solos. This plugin was designed to give you limitless reverb and delay possibilities, and the smoothest EQ curve around."